Breast cancer is the most common cancer and the second most common cause of cancer-related death for women in the United States. Despite advances in diagnosis and treatment, one-third of women who develop breast cancer will die from it, accounting for about 40,000 deaths per year. While good primary treatments like surgery, radiation and chemotherapy are available to treat early stage breast cancer, these treatments are less successful in more advanced disease. 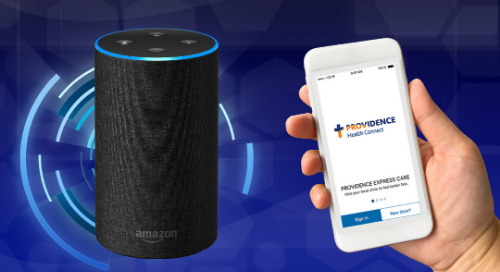 Providence Regional Cancer Partnership (PRCP) in Everett, Washington, is researching other ways to help cancer patients remain disease-free. Immunotherapies – therapies meant to stimulate a patient’s immune system to recognize and destroy tumor cells – are at the forefront of research at PRCP. The ultimate goal of this immunotherapy research is to design safe and efficient therapies to be used as preventive strategies for patients at risk for breast cancer recurrence. Currently, PRCP is conducting a study to test an anti-cancer vaccine called NeuVax to find out if it will reduce recurrence in women who’ve already been treated for breast cancer. The study also aims to determine if Herceptin®, a drug already approved for some types of breast cancer, can also be effective in combination with the vaccine. The vaccine is made from a cancer protein called HER2/neu and GM-CSF, an FDA-approved drug that stimulates the bone marrow to make new white blood cells. Earlier studies in breast and ovarian cancer patients indicate the body makes T-cells (killer white blood cells) in response to the vaccine. The vaccine was found to be safe in Phase I trials (the earliest human testing meant to show safety). And, in subsequent trials, stimulation of the immune system by this vaccine appears to reduce the rate of breast cancer recurrence in patients with either a node-positive or a high-risk node-negative breast cancer. So, in this study, PRCP is testing the combination of the Herceptin and the vaccine to see if the two could be better together in preventing recurrences. Because these immunotherapies are still in development, patients involved in the study may not directly benefit from participating. However, they may find satisfaction in taking part in research to benefit the health of future generations. To learn more about this study – or others underway at PRCP – talk to your cancer care team, visit the Providence Regional Cancer Partnership website or call (425) 297-5531. If you’re being treated at another cancer care center, be sure to talk to your local care team to find out which clinical trials are available in your area. Katie Lyon is certified as a clinical research coordinator by the Society of Clinical Research Associates. She holds a bachelor’s degree in psychology from Washington State University and joined Providence in 2012. She has 10 years’ experience conducting clinical research trials – the majority in the oncology setting. Katie’s passion is helping patients understand clinical research and how to navigate their participation in research trials.